Traditional outbound marketing techniques could be used where you purchase a bulk email list and begin sending. This is often categorized as “spamming” and is not well received in the online world. Create a web site and a Facebook page and start posting. This may have some success, but your exposure is very limited and it will take a lot of time and effort before seeing any real return on investment. 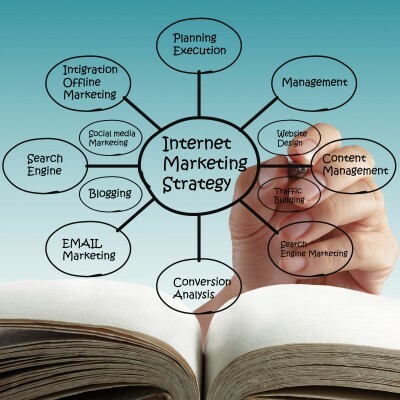 Apply inbound marketing techniques that get clients from the internet to notice your business and come to your web site. This is a proven technique that yields a great deal of success with all types of online businesses. Search Engine Optimization (SEO) – this approach uses specific keywords and phrases so that when someone searches Google or another search engine for a particular business or topic, your company displays in the results - as close to the top of the list as possible. Content management – by updating your web site with robust and optimized content, you will attract visitors and increase sales conversions. Effective content should be used throughout your entire marketing strategy including blogs, Ebooks, white papers, emails and more. Social media and other online channels – inbound marketing utilizes all the different areas of the internet to coordinate your marketing efforts. From social media sites like LinkedIn, Facebook and Twitter to industry forums, trade publications and other pages you can post a consistent marketing message. Pay Per Click (PPC) – by using PPC advertising you can achieve faster results through all of your online marketing efforts without spending a huge amount of your marketing budget.